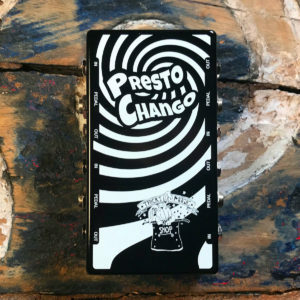 The Presto Chango, by Trick’s Magic Shop, is an adapter box that provides the use of up to 4 standard, inexpensive expression pedals, like the Moog EP2 and EP3, with banana jack format modular synths, such as Buchla and Serge – allowing control of any CV parameter, feeding it any desired CV source – for powerful, hands-free performance control. 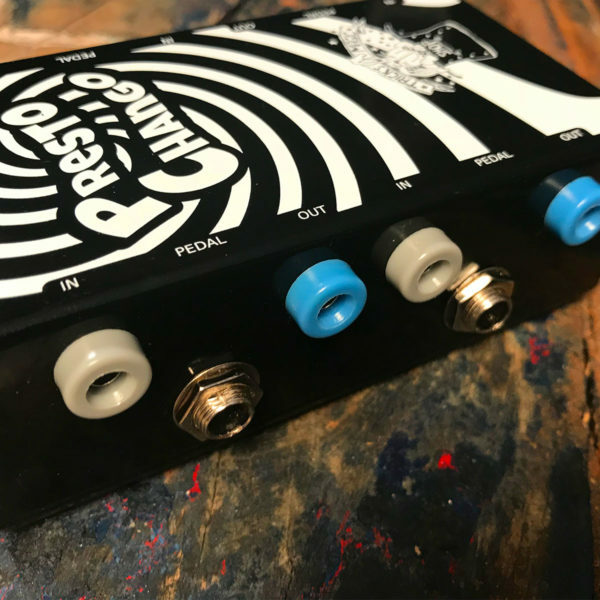 NOTE: The Presto Chango has been tested to work with Moog EP2 and Moog EP3 Pedals, which have TRS audio connectors. Others with a TRS connector may work, but have not been tested. 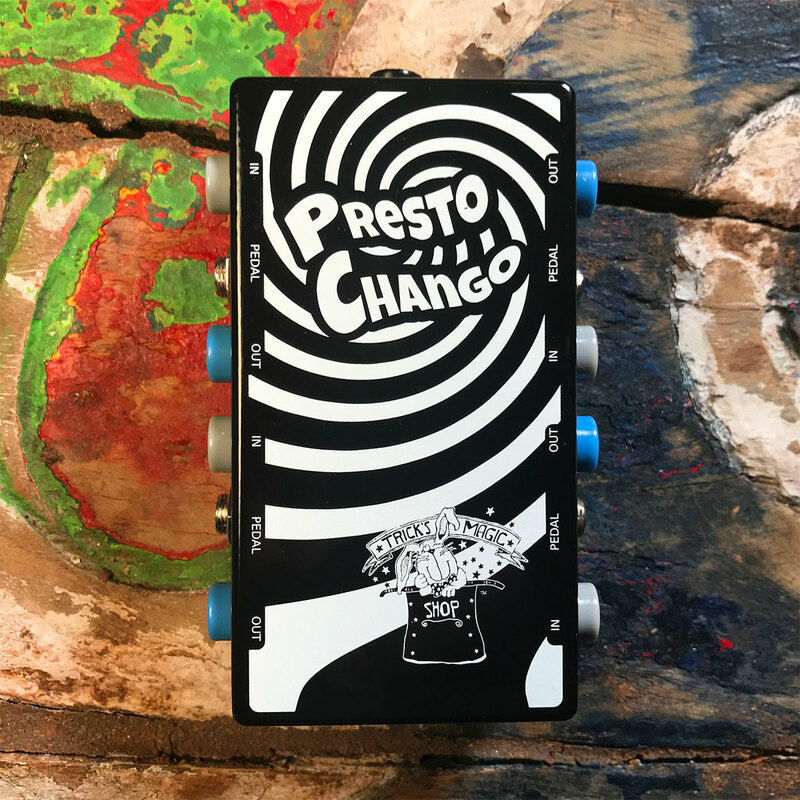 Expression Pedals with only a TS style connector will not work with the Presto Chango.